The hot sun beats down on Arizona all year round and that's half the reason why Phoenix has become a hotspot for beautiful luxury homes. It also happens to be surrounded by unbelievable nature and terrain making it the perfect setting for people who want a homes with beautiful views. 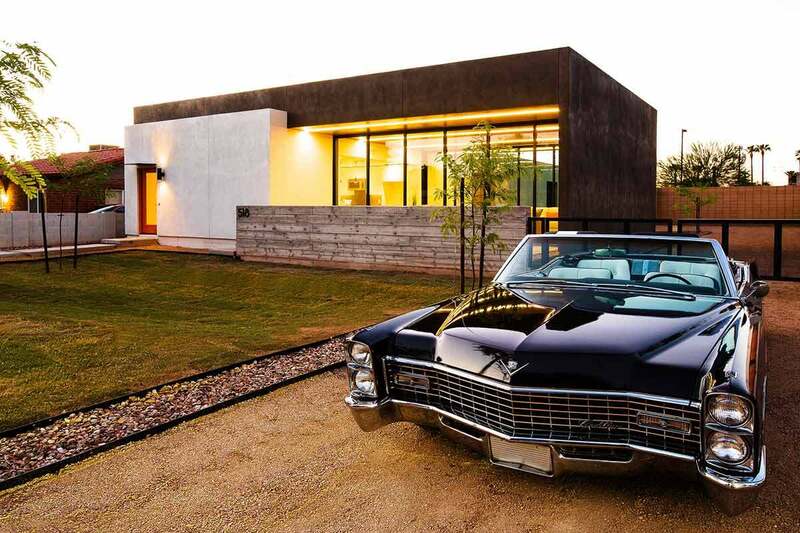 Check out some of our favorites from the best contractors and architects Phoenix has to offer. 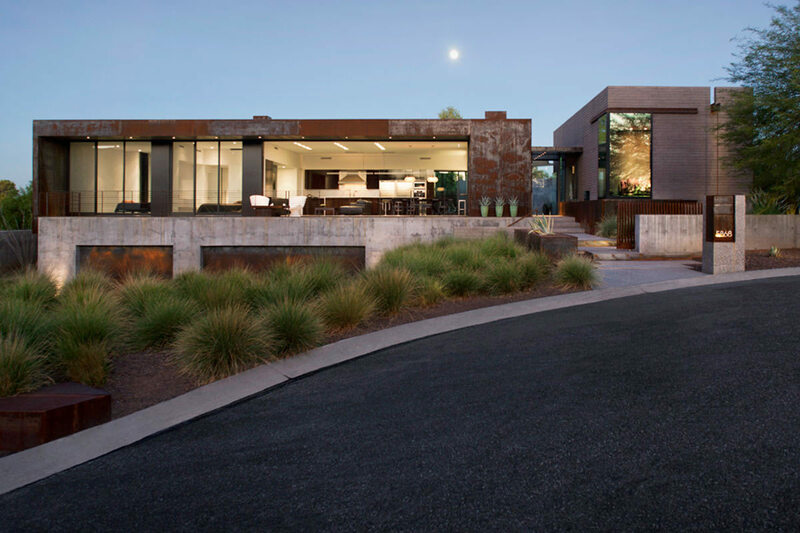 The Ranch Mine Architects and general contractors Boxwell Soutwest teamed up to create this lovely minimalist home on West Camelback Road. Large pieces of walnut plywood line the walls and ceiling in the living room and dining room which extends to the backyard through massive windows which retract creating a beautiful open air space. 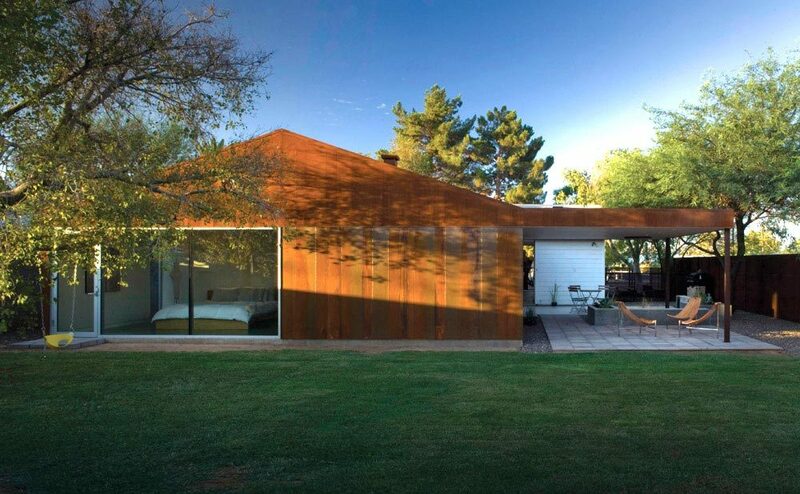 The very simple façade of the home does a wonderful job of blending into its surroundings without disappearing. 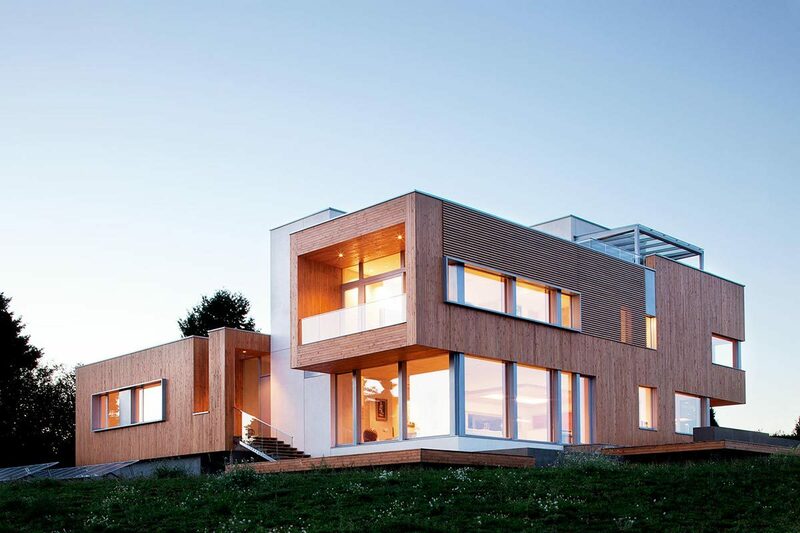 The Dialogue House was masterfully created by Wendell Burnette Architects and The Construction Zone Ltd. First thing you probably notice is the massive window which exists on both side of the home providing expansive views from both sides. Next you'll probably notice the narrow underpass that cuts right through the simple rectangular form that makes up the majority of this home. The underpass efficiently provides access to the home and direct access to the backyard which sits at the base of Echo Mountain. We love how much this home stands out among the 1970 ranch style bungalows that line the streets in this area. The Earll Residence is an abstraction of a 1950's ranch home much like the one we saw in our list of beautiful luxury homes in Los Angeles. 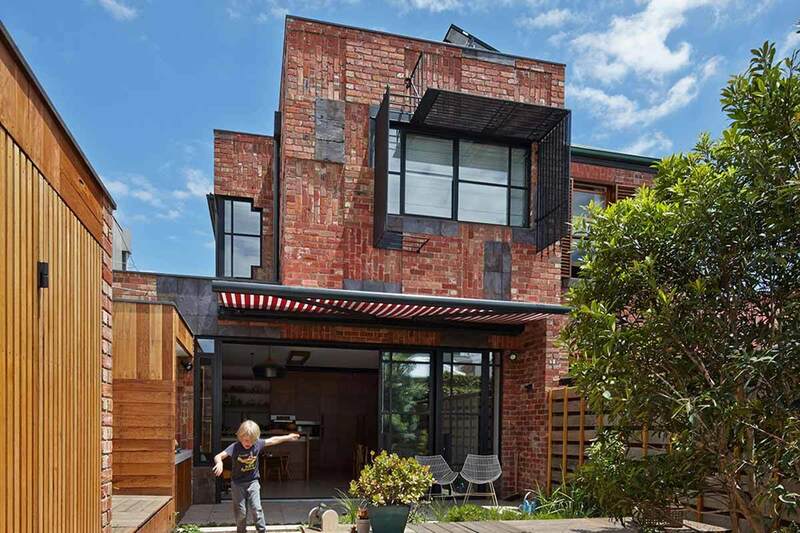 StudioROEDER took very logical but creative steps to update this home and build an addition. 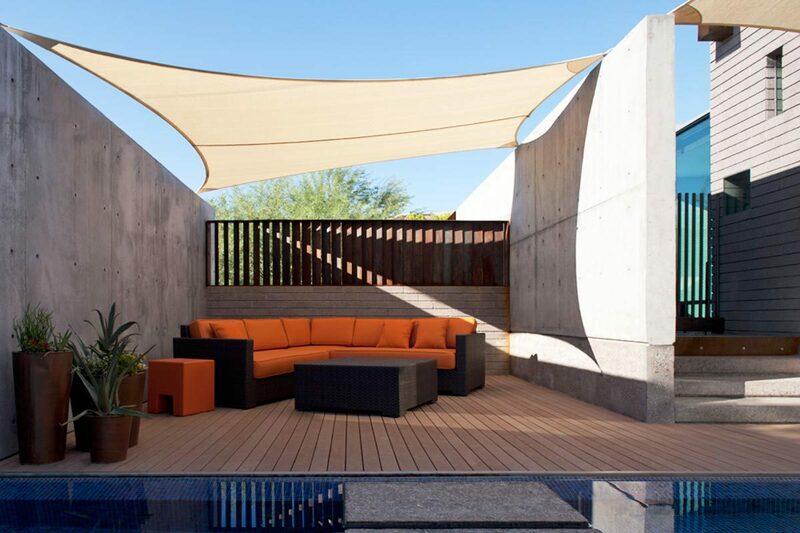 The very durable patinad steel finish is a wonderful color that suits the orange hues of Arizona's desert and the lean-on patio is the perfect humble space for summer lounging. All that's missing is a little fire pit for those cool nights! 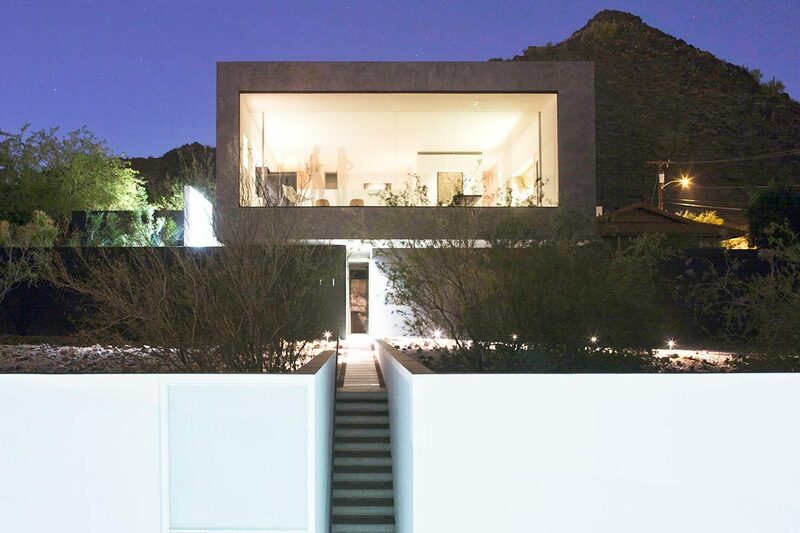 Let's start off by pointing out how awesome the façade of this home by Chen + Suchart Studio is. Weathered steel panels were painstakingly put together to create an amazing finished product. The landscaping is like a soft brush contrasting this hard and modern spectacle. The front isn't the only part of this home we love. 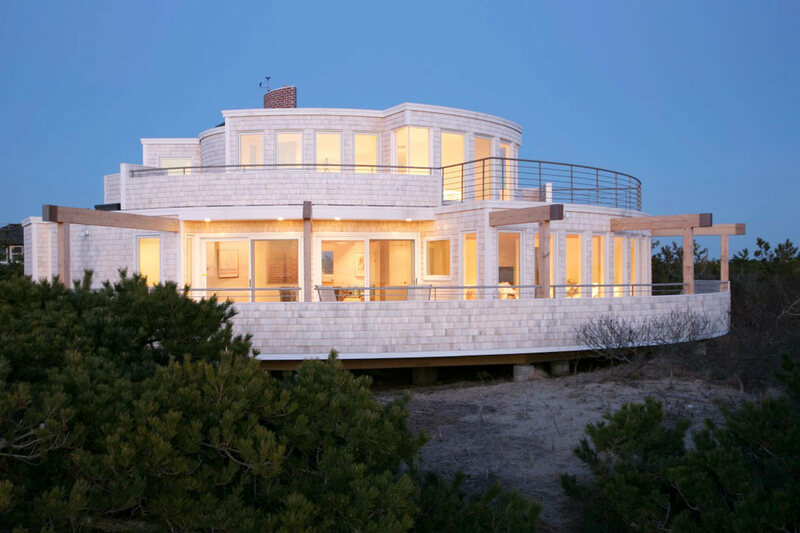 Creative Concrete & Masonry constructed this magnificent home where the mastery really becomes evident in the back. Amazing pieces and materials come together to make a very complicated but visually simple home. 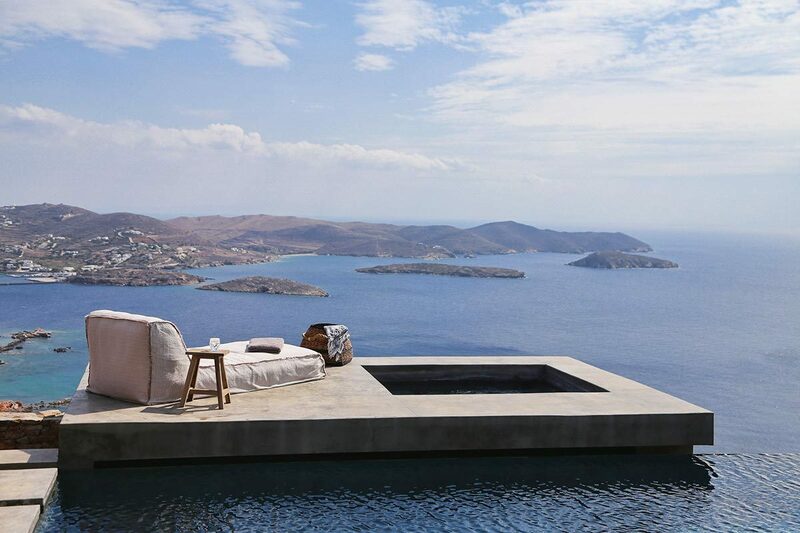 We love this pool adjacent outdoor nook complete with orange couches which pick up on the rusty metal slats. This detached space almost becomes like a backyard gazebo. People living in luxury homes in Miami should take note of the awesome canopy! 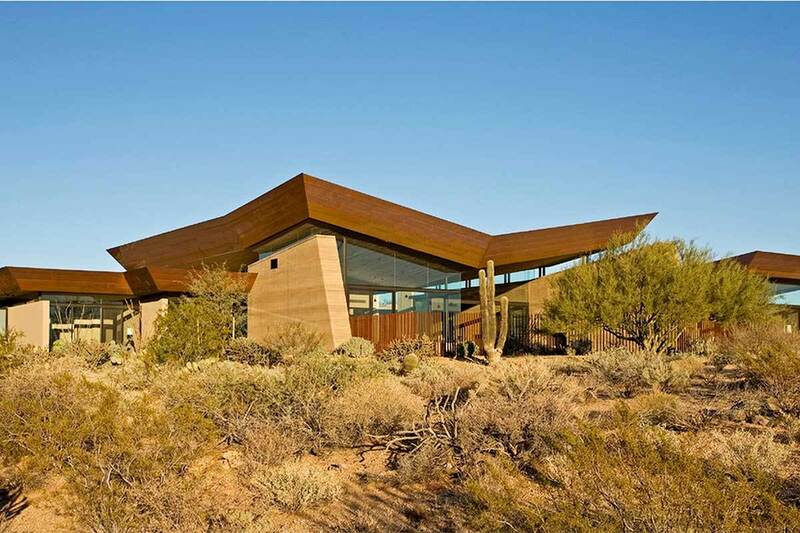 Smack dab in the middle of the desert Kendle Design Collaborative set out to design a home that didn't fight its surroundings but collaborated with them. Three simple materials: concrete, glass and copper make up the majority of this home and all playfully pick up on the hues and tones that already exist around it. The unique form of the roof creates a silhouette that resembles a mountain range or jagged boulder. The 'Desert Wing' is an amazing undertaking that Phoenix should be very proud to have gracing it's architectural portfolio.